– Matching bottoms with a cut-out front panel, side tie closures, and a thong back. 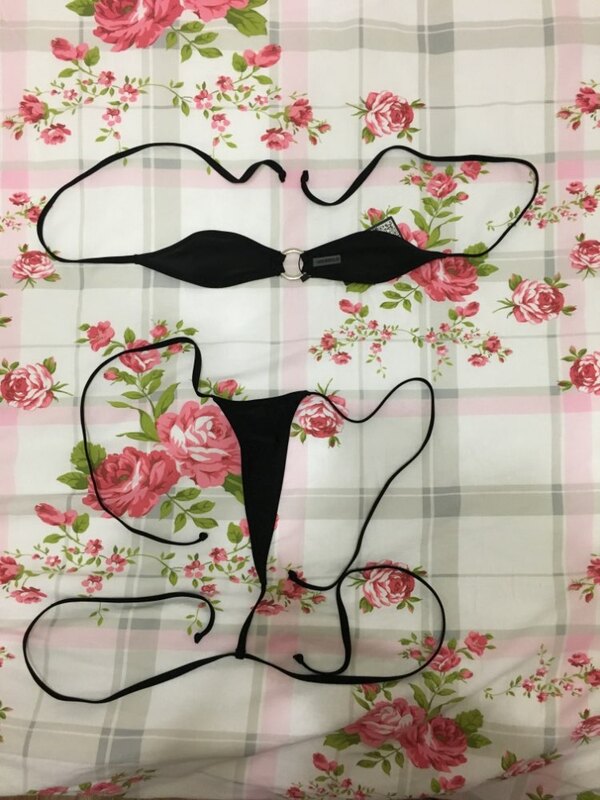 – We mark “One size” or “Free size” for micro bikini, it is because most most our micro Bikini top and bottom can be adjusted by string when using it. – Cup: our micro bikini cup is extremely smaller than ordinary bikini cup. we don’t make different size for cup. only one size cup. – Bikini bottom which waist line colsed, the waist size is around 74-76cm. After strenching can be up to 94cm-96cm. very nice product!!! soon i upload pics.!! Заказ пришёл за 9 дней, материал приятный на ощупь, торчащих ниток нигде не было.